Super7 LEGENDS OF LUCHA LIBRE ReAction & M.U.S.C.L.E. Figures: Blue Demon Jr., Solar & Tinieblas Jr.
Get in the ring with Super7 x Legends of Lucha Libre! 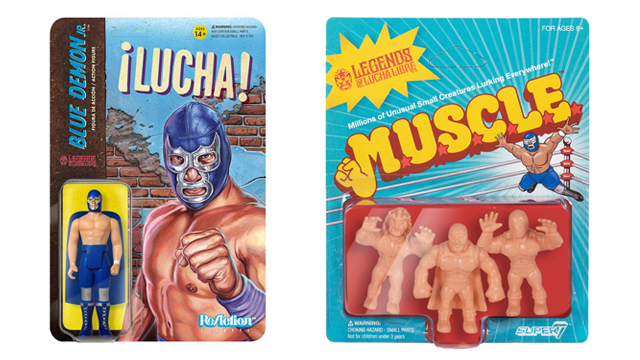 The debut Luchadores 3.75-inch ReAction Figures assortment includes Blue Demon Jr., Solar, and Tinieblas Jr. Super7 have also released 1.75″ M.U.S.C.L.E. 3-Packs (featuring 6 different figures).